Sultan Mehmed II Conqueror of Constantinople and Vlad Dracula | Politics in here! The life story of Dracula is an example of colonial history that the West is so real. If Rambo is a fictional movie that plays as if it were otherwise performed by the West, then Dracula, the real number is reproduced in fiction. Based on the book, the work of Bram Stoker, Dracula called, the character on the spot and then increasingly obscured by films such as Dracula's Daughter (1936), son of Dracula (1943), Hoorof of Dracula (1958), Nosferatu (1922) - was re-1979 and the type of films that are produced continuously. 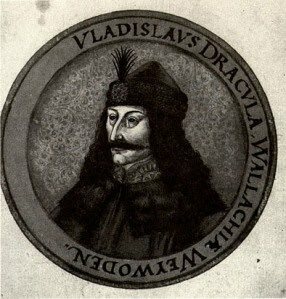 So who exactly is Dracula? In a book titled "Dracula, the Impaler Muslims in the Crusades" by Hyphatia Cneajna this, the figure of Dracula completely bare. Presented in this book that Dracula is a prince of Wallachia, a descendant of Vlad Dracul. In the figure of Dracula Hyphatia description can not be separated from the end of the period before the Crusades. Dracula was born when the war between the Turkish Ottoman Empire as warm as representatives of Islam and the Kingdom of Hungary, growing as a Christian service. The two kingdoms were trying to outdo each other to determine areas that can be controlled merebutkan, both in Europe and Asia. The climax of this war is the fall of Constantinople to the fortress of Christians in the control of Turkish Ottoman Empire. "When the sun began to Dracula ordered the tables to start. The soldiers want the command to cekatakan like robots that have dipogram. After spitting began to mourn the pain and agony screamed immediately fulfill all over the place. You, the poor Muslims die and even collected in a way that was so terrible. remember no time beautiful and sweet memories they had ever experienced. " "Babies are not impaled more time to mourn, because what the clause tip die directly because of their small stomach. The bodies of the victims were in the game lasted until death." The cruelty than before, which is hidden by the West have described. Hyphatia After this is done for two reasons. First, the slaughter of Muslims may be committed Dracula not separated from the Crusades. Western countries during the Crusades it was the mainstay of cross-stained face. They are busy digging Hitler and Pol Pot's massacres would hesitate to open their own ulcer. This is already a Western character who always want to win. Second, Dracula is a hero for the Crusaders. No matter how cruel then Dracula has always protected his good name. And until recently, in Romania, Dracula is still a hero. Since most of the heroes of history had taken the number of superheronya and pulled all the ugliness, evil and weakness. To close the lid of his cruelty, was the West, which is to hide the real Dracula. As described above, both through works of fiction and film, they tried, the identity of the real figure of Dracula is not to maintain awareness. And is that Western efforts to the figure of Dracula in fiction to change reality successfully. The size of this success can be seen how many khususny community self-Muslims who know the real Dracula. When calculating the amount can be sure very few, and even if Dracula can be sure that the declaration is not far from the statements made jointly, while Dracula is a bloodthirsty vampire known. In addition to dismantle part of West Hyphatia makes in his book also explores the meaning of the cross in the history of Dracula. As is well known that the image of Dracula, has become a fiction can not be separated from the two bodies, added the garlic and crosses. The legend says that to be defeated only with the second object of fear and Dracula. After Hyphatia the symbol of the cross represents the Western way to eliminate the enemy heroes and heroines of the Islamic parties and also to demonstrate its superiority. Who is a hero who wanted to abolish the West? Nothing less than the Sultan Mahmud II (known in the West as the Sultan Mehmed II.) The Emperor is the conqueror of Constantinople, the former conquerors Dracula. He was defeated and beheaded on the banks of Dracula Danu Snagov. But the fact is trying to be rejected by the West. If testing is playing Dracula. That was a fiction that Dracula only be defeated by the cross set. The purpose of all this is not the role of Sultan Mahmud II also shows dark, they are the best to beat Dracula, the bloodthirsty. And once again, is true of the West's efforts to succeed. Apart from this, the book "Dracula, Impaler Muslims in the Crusades" by Hyphatia Cneajna, even for as little known things that are hidden from the public. For example, about Dracula's cemetery, it is not clear, leading to a descendant of Dracula, all kinds of torture thrust lack Dracula Dracula and more. At the end of this article the author wants the conclusion that a colonial past, not less dangerous than other forms of colonialism, politics, economics, culture, etc. The history of colonization of this well and consistently happen if they do not pay attention then we will get caught in it. Therefore, a critical attitude toward history is that we need not wrapped in colonial history. If this work Hyphatia book, but it remains a first step could be a reminder that always criticized the fact that the story was so real colonial history can be used against us. No Response to "Sultan Mehmed II Conqueror of Constantinople and Vlad Dracula"
American vs. Russian cold war? Politics in here! Design by topwpthemes. Converted To Blogger Template By Anshul And Ritesh .